JULIAN Dennison is living the dream. 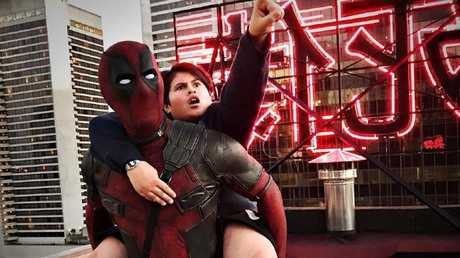 The 15-year-old actor from New Zealand was hand picked by Ryan Reynolds to star in Deadpool 2 which hits cinemas on May 16. As Reynolds told the NZ Herald, he saw Dennison in 2016's Hunt for the Wilderpeople and was blown away, directed by fellow New Zealander Taika Waititi. "And Taika said, 'he just is that good.' He was the only one we ever considered for the role." In Deadpool 2, Dennison plays a young orphan called Russell aka Firefist who Deadpool takes under his wing. 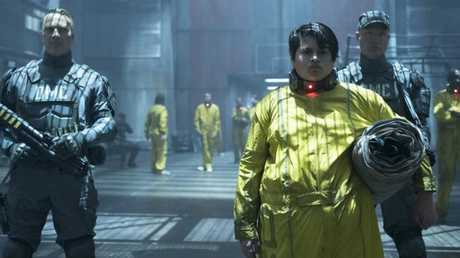 Julian Dennison as Russell/Firefist in Deadpool 2. It's a huge role in one of the most anticipated superhero movies of 2018, and you'd have to imagine that Dennison was paid a pretty penny for his work in the film. So what does a 15-year-old do when he has thousands in the bank? "I haven't really made a lavish purchase yet, but I want to," Dennison told news.com.au. 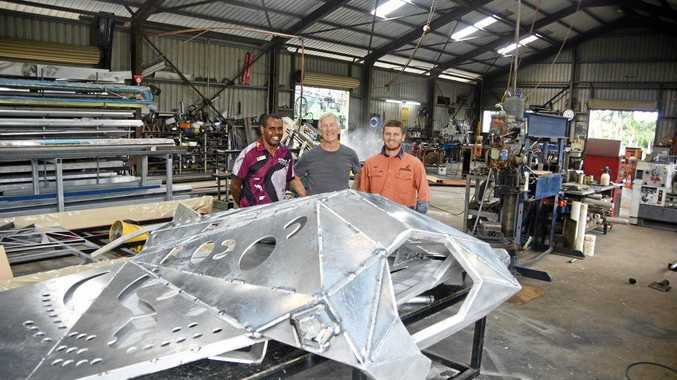 "It just depends on what mum and dad will let me do." The young star, who comes from a family of four kids, does have an idea of what he'd like to splash his cash on though. "I share a room with my twin brother, Christian," he said. "I like sharing a room with him. I don't like going to bed by myself because I just sit there and over think stuff so I need someone there to talk to before I go to bed, so I need Christian there ... that sounded really weird. "Anyway, I'd really like to pimp out our room, maybe get some couches and stuff. You know those giant beanbags, those Lovesacs? I wanna get the big family size one so I can just jump into it and watch movies and stuff. It's like $1000!" 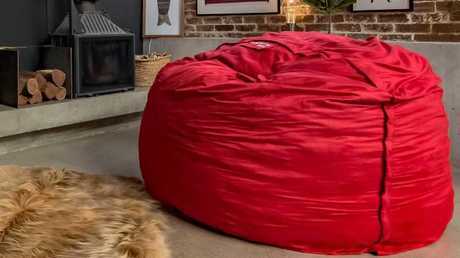 This is what Julian wants to buy, TheBigOne by Lovesac. Dennison's already started pimping out his room a little bit thanks to a present he received from Ryan Reynolds' wife, Blake Lively. "After our first week of filming Deadpool 2, Blake Lively got me a candle," Dennison told news.com.au. "It smells really good and it said, 'To Firefist' on it. "I was like, 'that's so cool, but when will I ever use a candle?' And obviously I can never burn that candle ... so it's just on my mantle piece now." 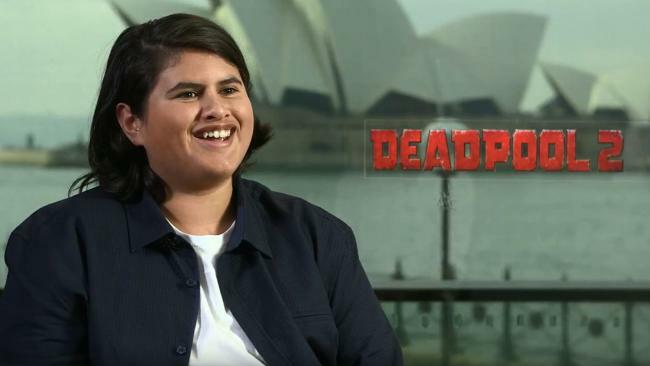 After his breakout role in Hunt for the Wilderpeople, you can't help but feel that Deadpool 2 is just the beginning of Dennison's Hollywood career. He's already landed another role in a major movie but he's not allowed to reveal any details. And there could be more films with Ryan Reynolds on the cards as well. "We've been talking and there might be an X-Force movie or Deadpool 3 coming out so I hope they don't cut out my character," Dennison said.